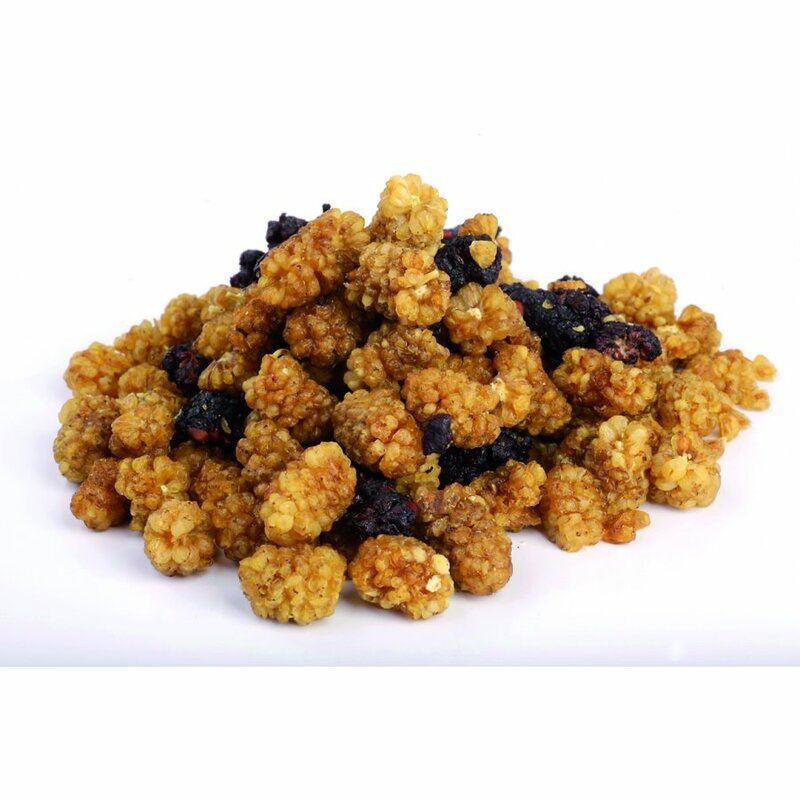 White mulberries resembling a cluster of honey are combined here with black mulberries resembling the flavour of blackberry or blueberry. This sweet and sour combination is naturally nutritious – a good source of vitamin C that has no added sugar or preservatives. 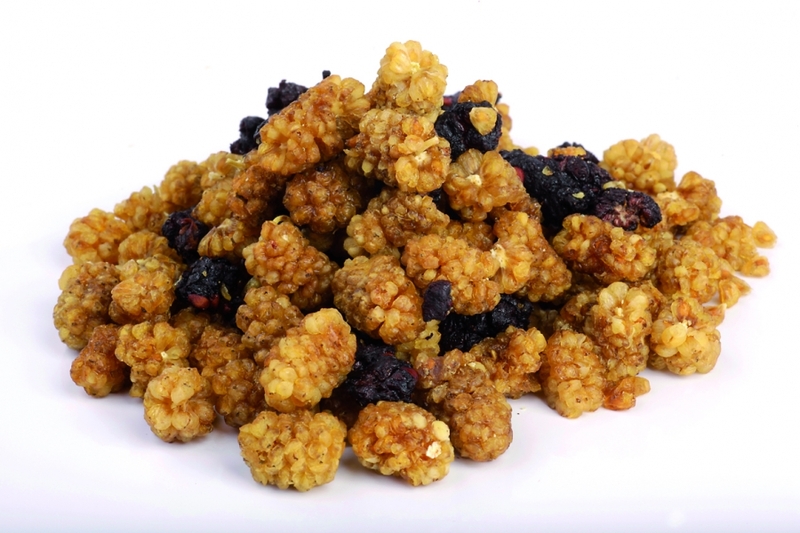 These organic sundried fruits come in a handy resealable pouch and are ideal for snacking or adding to muesli. 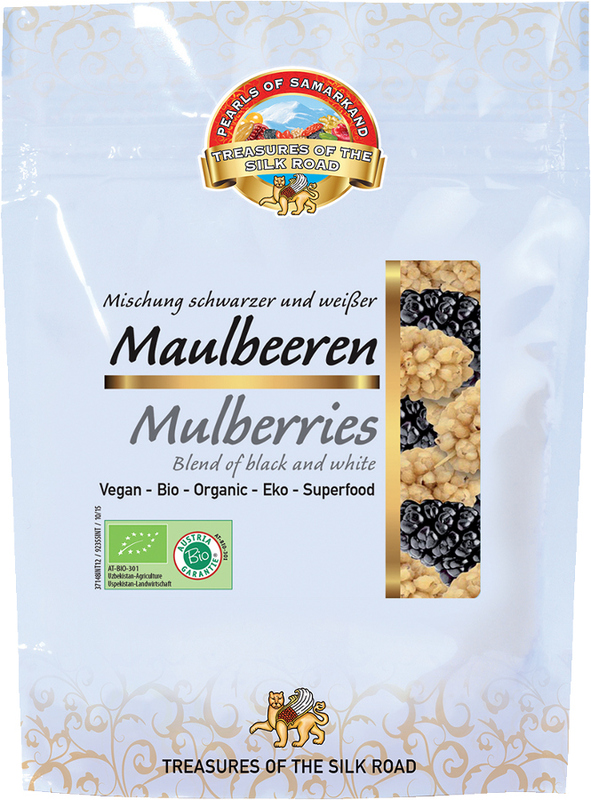 The Pearls Of Samarkand Organic Black & White Mulberries - 100g product ethics are indicated below. To learn more about these product ethics and to see related products, follow the links below. 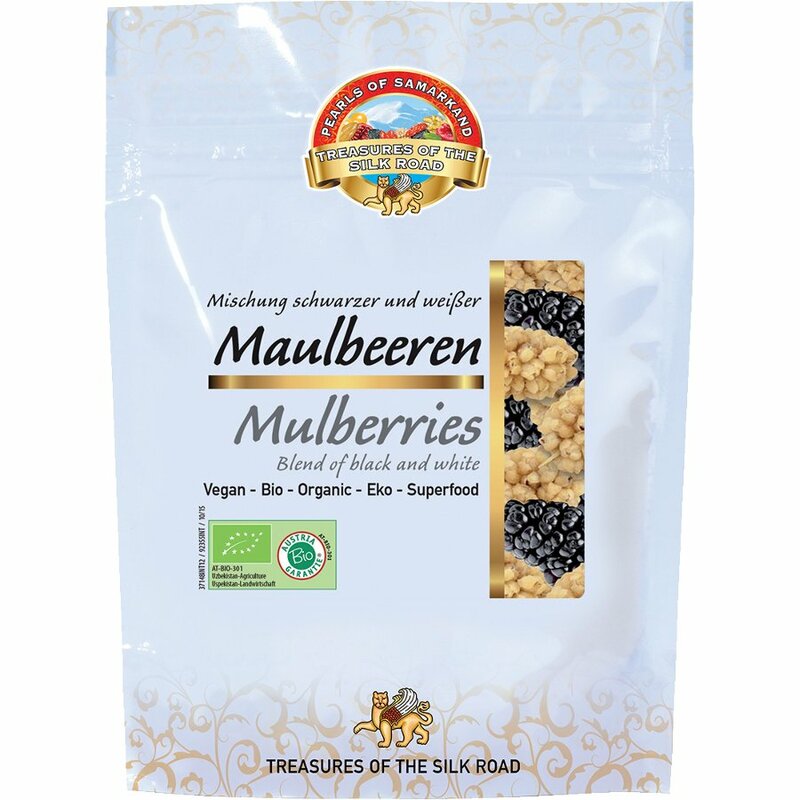 There are currently no questions to display about Pearls Of Samarkand Organic Black & White Mulberries - 100g.